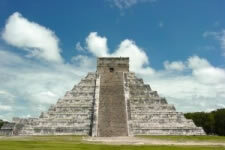 The intent of this website is to offer Toltec wisdom and teachings on the Toltec Path of Direct Knowledge. Carlos Castaneda first brought the Toltec knowledge of nagualism out of secrecy in the late 1960s and ’70s. In the past few years, guides such as the nagual don Miguel Ruiz (author of The Four Agreements) and the nagual Theun Mares have brought it further into accessibility. 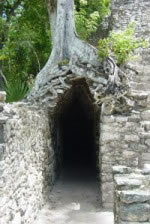 The Toltec Path offers the powerful tools, processes and techniques for growth, transformation and evolution. Examples of these are the recapitulation, the art of dreaming, stalking self, not-doings, stopping the world, silencing internal dialog, and controlled folly. However, as with any spiritual endeavor the only way to make movement on the path is through consistent application of the tools. Because of the prevalence of book learning verses application, there are considerable misperceptions as to what the path is. It is the energy behind the words written by Carlos Castaneda (sometimes misspelled as Casteneda) for example, which holds the key to Direct Knowledge. However, the only way to unlock the secrets of this energy is through the actual application of the tools. The Toltec Path is about becoming true Women and Men of Knowledge. Some people confuse this with sorcery, brujos, witches and brujas, and shamanism. A Toltec Nagual is so much more than this, far beyond ordinary imagination or perception.